This note examines the decision of the Family Division of the High Court in N. v. N. (Jurisdiction: Pre-Nuptial Agreement) in which, in the context of Jewish divorce proceedings, the Court found that it had no jurisdiction to order a husband, by specific performance of a marriage agreement, to go through the procedure to obtain a ‘get’ (a hand-written bill of divorcement) allowing his wife to remarry. First, discussion of the case is contextualised broadly within the debate on the (de)merits of employing legal means in order to redress social wrongs. 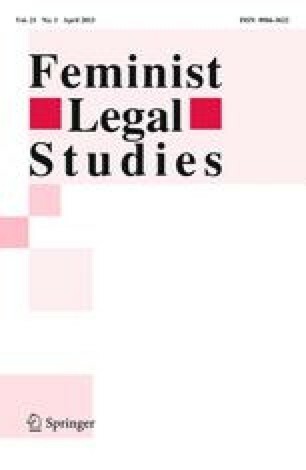 Secondly, adopting a theoretical perspective upon the difficulties involved in using law to achieve social change, the note goes on to examine more specifically why women from minority cultures may choose to go to the law of the dominant culture in order to obtain relief.